Marijuana is a known risk factor for the development of psychotic disorders, such as schizophrenia. However, Emory University researchers say that it’s not whether or not a person uses marijuana, but rather how quickly an adolescent user progresses to daily marijuana use that’s most important as a predictor for psychosis. Emory University researchers examined data from 109 patients admitted to hospital for a first episode of psychosis to investigate the link between marijuana smoking and the progression towards psychosis. 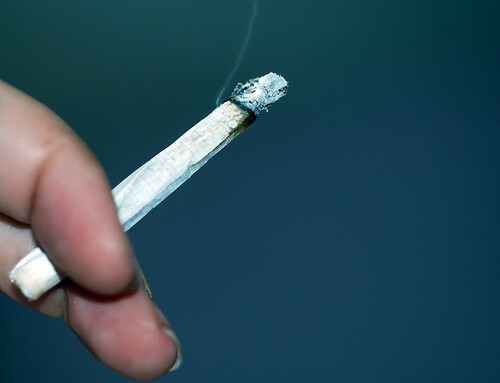 Previous researchers have demonstrated that marijuana use accelerates the age of first psychotic episode, but after a meta analysis of the data, the Emory researchers found that it wasn’t so much whether a person used marijuana but rather how quickly a casual marijuana user progressed to daily smoking that best predicted age of psychotic onset. Teens predestined for psychosis who become heavy marijuana smokers succumb to full–blown psychotic illness at a much younger age than teens who don’t become heavy marijuana users. The researchers also found that teen girls who progressed to daily marijuana use were particularly at risk for an accelerated age of psychotic onset. In addition to looking at how marijuana quickens age of onset, the Emory researchers were also looking to learn more about the progression to the prodromal period, which is a period prior to the onset of full psychosis, during which a person experiences odd sensory experiences. The prodromal period can occur months or even years prior to the onset of full psychosis and it is thought to be an important stage for intervention and prevention. The full study findings can be read in the November edition of the American Journal of Psychiatry. Thinking about giving up marijuana but not sure you’re ready to take the plunge? Well, here are 70 benefits of quitting – all first-hand accounts from previously heavy users about how life changes for the better once you don’t need to get high all the time. How to get past the first 2 weeks of marijuana withdrawal symptoms. Learn what to expect from marijuana withdrawal, with tips and suggestions for coping with individual withdrawal symptoms.